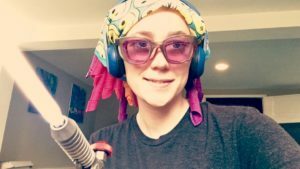 Amy is the daughter – a lampwork beadmaker. Amy has been working with hot glass since 2006. Amy makes beads at a torch in her small home studio, anneals them in a special glass kiln, and cleans them thoroughly with a dremel. 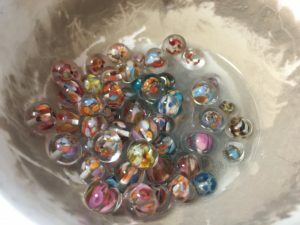 Amy works with many types of soft glass, mostly in the 104 and 96 COE palettes (including Effetre/Moretti, Creation is Messy, Vetrofond, Double Helix, Reichenbach, and Kugler), and does colour testing for Creation is Messy and Val Cox Frit. 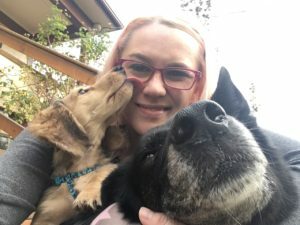 Amy works full time in the health care field, plays the cello, and has two dogs that are the love of her life! (Other than her hubby, of course). 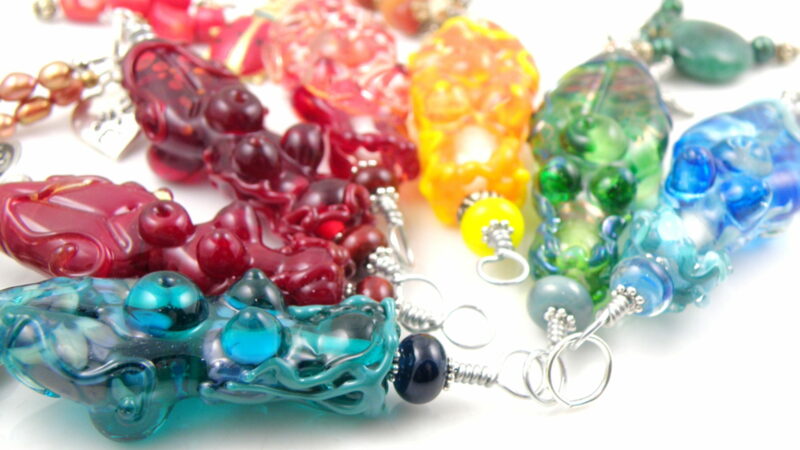 Lampwork beadmaking currently falls somewhere between a part time job and a treasured hobby.